With these words, former U.S. Poet Laureate Rita Dove paid tribute to the fiercely original poetic voice of Gwendolyn Brooks—the first African-American writer to be honored with the Pulitzer Prize. “Her ability to sing the song of those around her—her community—and make that come alive to the entire world: that was something that has always been a beacon to me,” said Dove. Dove joined poets Yusuf Komunyakaa, Gregory Pardlo, Tracy K. Smith and Natasha Trethewey the Art Institute’s Rubloff Auditorium on February 2 for a celebration of Brooks’ life and work, 100 years after her birth. 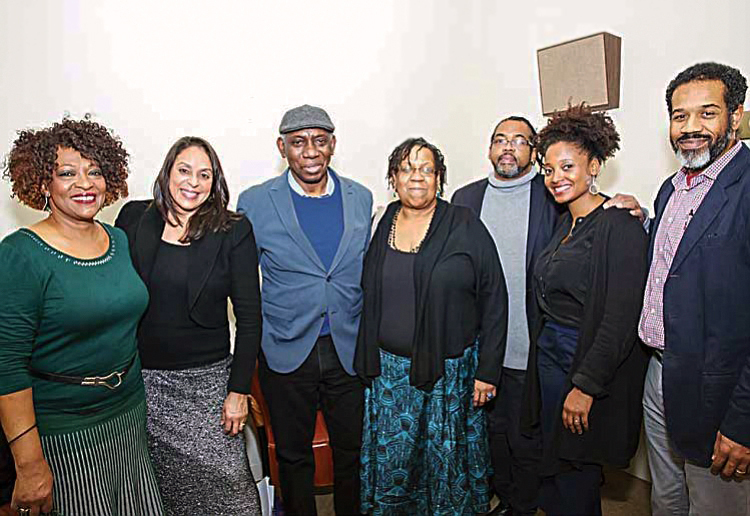 This groundbreaking event marked the first time that the five living African-American Pulitzer Prize-winning poets had gathered in the same room. Pictured Above: Rita Dove, Natasha Trethewey, Yusuf Komunyakaa, Tracy K. Smith and Gregory Pardlo—the five living black winners of the Pulitzer Prize in poetry—gathered together at the Art Institute of Chicago in celebration of the life of Gwendolyn Brooks. They were joined by Brooks’ daughter Nora Brooks Blakeley (center) and Quraysh Ali Lansana (fifth from left), artistic director of the Our Miss Brooks 100 celebration. Kicking off the evening, poet Quraysh Ali Lansana shared his own memories of studying under Brooks, and working alongside her to fulfill her vision for an annual open mic contest for young poets, with a prize paid out of her own pocket. 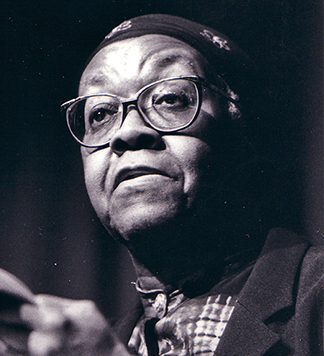 Today Lansana is the artistic director for Our Miss Brooks 100, a celebration of her legacy in her centennial year. Then each poet read a favorite work by “Miss Brooks,” as she was respectfully known, followed by an original poem of their own. Afterwards, they sat down for a panel discussion led by Natalie Moore, South Side bureau reporter for WBEZ. 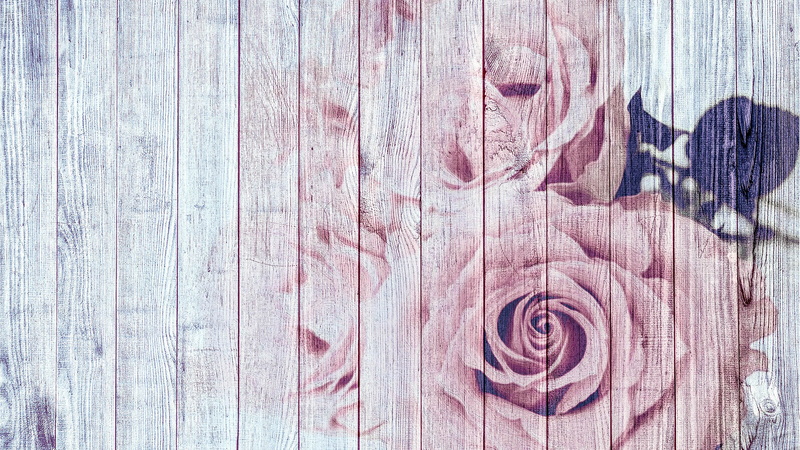 Reflecting on Brooks’ legacy beyond her work, Tracy K. Smith highlighted the choice to leave major publishing house Harper & Row, to publish instead through small black-owned presses. “In some way, the resurgence or the flourishing of small presses now is owing in some part to that gesture of Brooks’,” Smith said. Natasha Trethewey highlighted Brooks’ lifelong commitment to both chronicling the black community, and championing fellow African-American artists. Through June 2018, dozens of institutions, artists and educators will collaborate as part of Our Miss Brooks: A Centennial Celebration to produce readings, performances, school programs, discussions, exhibits and more. OMB100 is supported by Allstate, Forefront and The Chicago Community Trust. I’m in a poetry group that is reading poems by Tracy K Smith and Gwendolyn Brooks. Could someone please tell me what poems Tracy K Smith read at this event? Thank you!